My name is Carlos Tipan and I started Oakville Import Auto Centre in 1994 to follow my dream of owning a European luxury vehicle repair shop. Ever since I was very young I have loved cars; especially luxury vehicles. I have been asked many times what made me want to become a mechanic. The simplest answer that I can give is that it is my passion. BMW, MERCEDES BENZ, PORSCHE, AUDI, VW, VOLVO, SAAB, JAGUAR, LAND ROVER, ASTON MARTIN, MINI, MG, ALFA ROMEO, FIAT, are what I have always considered to be works of art. They are just stunning pieces of human engineering which, as a mechanic, I get to spend all my time with them! Furthermore, I find my profession to be very rewarding. It gives me a reason to continuously learn about all the latest technology, which is something we do by attending seminars and courses provided by different manufactures in the industry. Even more rewarding is that I get the opportunity to meet other car enthusiasts, in and around Oakville, Burlington, and Mississauga, on a regular basis. There is something very satisfying about performing auto service on a vehicle when the customer is as pleased as I am to have the car in perfect working order. If you have a European import, live in the Oakville area and find yourself needing a reliable and trustworthy auto repair shop, then make sure to give Oakville Import Auto Centre a call. 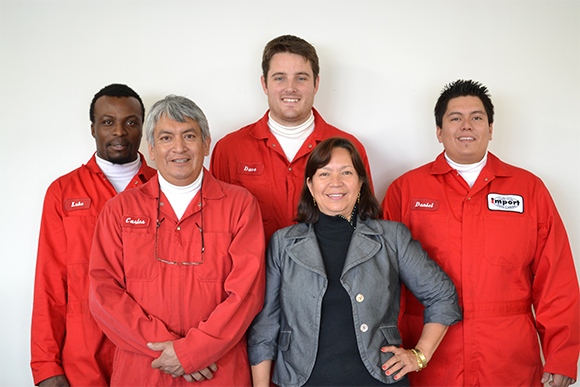 Carlos, his family, and staff, will be happy to repair, service and maintain your Import vehicle; making sure that it is running perfectly. Thank you very much for visiting our website. We hope that when your European Import requires any repairs, maintenance, upgrades or inspection, you will come to us so that you can see why we have become one of the most relied upon mechanics in the area. 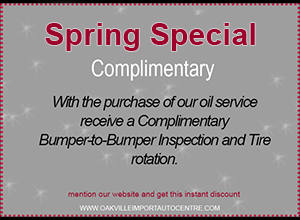 All information provided is for explanatory purposes only and does not constitute a legal contract between Oakville Import Auto Centre and any person or entity unless otherwise specified. Information is subject to change without prior notice. Although every reasonable effort is made to present current and accurate information, Oakville Import Auto Centre makes no guarantees of any kind.